I like to see the places where my ancestors worshiped, were baptized, married, and buried. I'm thankful to generous people, like John Lord, who took the photo above, who make photos available on the internet for all to see so we can imagine what it might have been like to be near and inside the church when our ancestors were there. 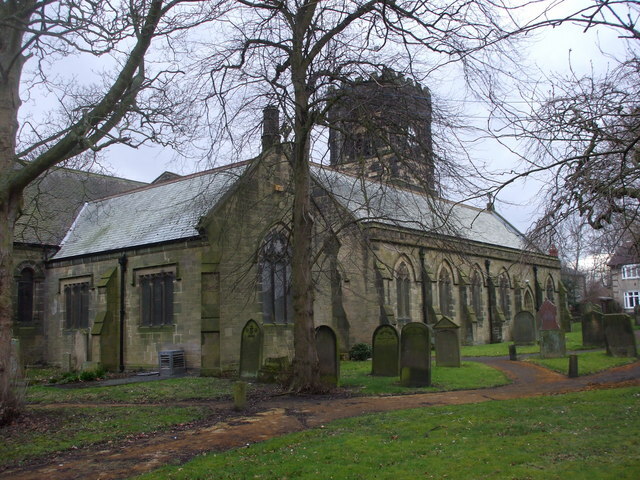 When I first searched for information about St. Cuthbert's Church in Bedlington, I found that there are many churches named for the saint in other cities and towns in the northern counties of England. 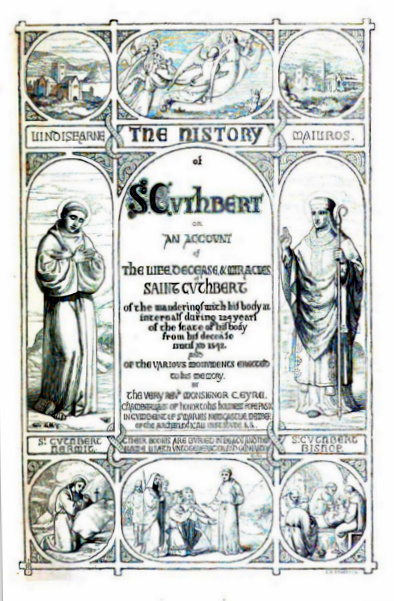 Google Books provides The History of St. Cuthbert or An Account of the Life, Decease, and Miracles of St. Cuthbert... written by Richard Eyre in 1848. 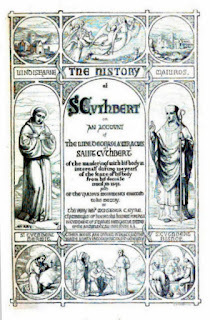 It seems that St. Cuthbert is considered the patron saint of Northumbria. After his death in 687 A.D. the Danes went after his followers and were about to kill or capture them when they remembered Cuthbert's dying request that if this should happen, the monks and bishop would take his body and leave so as to avoid the "yoke and servitude of wicked schematics." Apparently, leaving was easy but finding a place to settle wasn't. 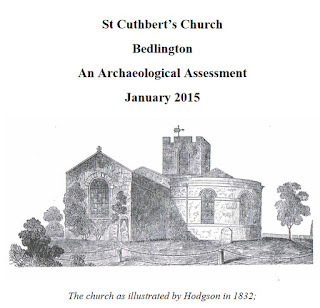 The following explains why there are so many churches named after St. Cuthbert. When looking at photos of old churches it is not easy to determine whether the current structure is the original structure as my ancestors would have known it. I found St. Cuthbert's Church, Bedlington, Archaeological Assessment, completed in January, 2015, which tells which parts are old/original, when parts were torn down, and when newer parts were added. Be sure to follow the link to see more photos of the church, both inside and out. 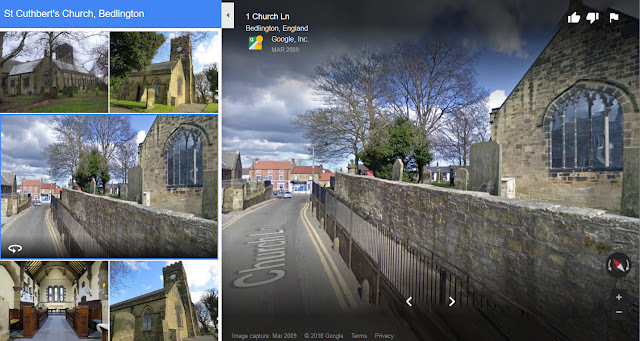 And finally, here is a collage of photos of the church, found at Google Maps. Notice that if you go to the link, you will be able to click the arrows at the bottom of the right side image to view larger images of the photos on the left. Will I ever have the chance to visit some of the locations where my ancestors lived? I hope so! Opening image © Copyright John Lord and licensed for reuse under this Creative Commons License. Thank you, John.